Los Angeles, California's GOATSNAKE is back in a big way. Having spent the Summer at Rock Falcon Studios in Franklin, Tennessee, the band is gearing up to release their first new full-length album since 2000's Flower Of Disease. 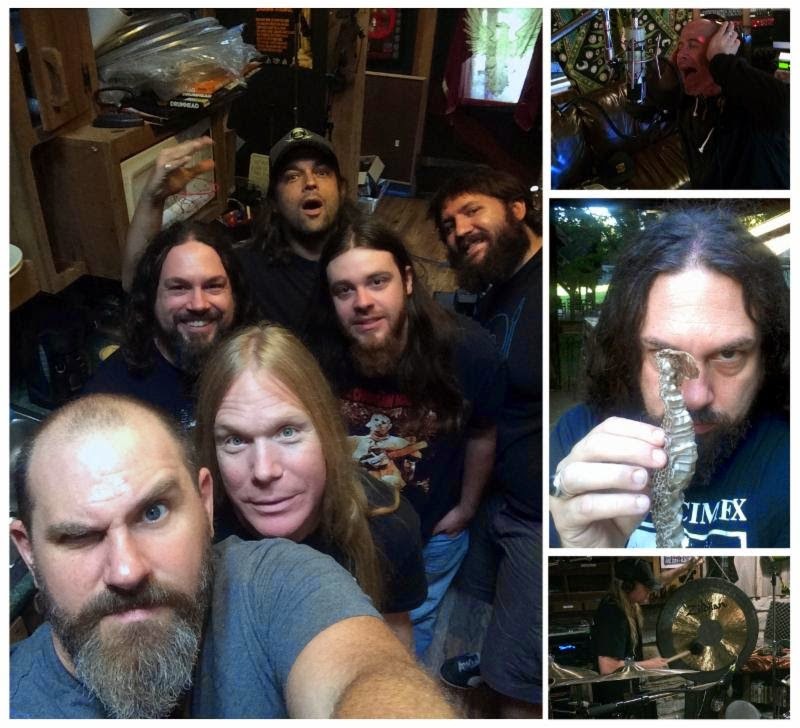 The new GOATSNAKE album, due for a release on Southern Lord next year, will feature the familiar faces of Greg Rogers (The Obsessed, Sonic Medusa), providing drums, Greg Anderson of Sunn O))) taking care of the riffs, Pete Stahl (Scream, Wool, Earthlings?) on vocals, and new bassist Scott Renner (Sonic Medusa, Sourvein). Joining them again on production duties is Nick Raskulinecz, who, since being introduced to Dave Grohl during the recording sessions of Flower Of Disease, has gone on to work with seminal artists such as Rush, Alice in Chains, Deftones and Ghost, and has won Grammys with the Foo Fighters. United again, he and the band are sure to serve a menacing cut of the time-honored ultra-heavy rock they are infamous for.